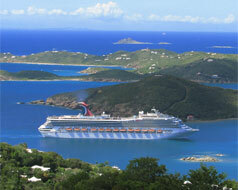 Now, more than ever before, cruises are becoming a destination rather just a way of transportation from port to port. While pretty much everything is provided for you onboard, there are some key things you should know about your pre and post cruise plans. Flight times – While flying into your port departure city the day of your cruise departure is quite common, it can lead to potential risks. You will want to make sure you arrive as early in the day as possible. Cruise lines require passengers to be onboard 2 hours prior to sailing. This will allow room for potential flight delays, transfer mishaps, or long lines at the cruise terminal. It is recommended to fly in the day before your cruise departure or take a red eye flight arriving the morning of your cruise. Arrive no later than 1pm on the day of your departure. When it is time to get off your cruise, it is highly recommended that you schedule a flight leaving after noon. While the ship may be scheduled to arrive at 7am, you may not get off until 10am. The time you leave all depends on factors such as customs, baggage, and transfers. Pre/Post Activities – Spending a day or two before or after your cruise gives you the opportunity to see one extra city in more depth! Take advantage of the Hop-on-hop-off tours. In Seattle, did you know that there is a city underneath the streets? Don’t miss the Build Beards Underground tour. What about Miami? Check out the breathtaking Everglades. Ask a travel agent the top things you should do! Hop-on-hop-off – These tours are some of the best and budget friendly tours to get an overall feel of city. They give you the chance to indulge in all things touristy! The time is yours to hop on and hop off as you please, giving you as much time to rest, visit the sights you want to see the most, and more. Some hop-on-hop-off tours, like in Miami, can pick you up right at the cruise terminal! Where to Stay – If you are not planning on seeing the city sights, then spend the night at an airport hotel. There are transfers that take you straight from the airport to the cruise terminal. If your plan is to explore and roam the city, then spend the night at a hotel right in town. Tour Operator Fares – Lower your airfare cost just by bundling it with a hotel night stay and/ or car rental! Not only does this give you a greater value overall, you can ensure that you will get to your cruise on time and maybe even get to see the city sites. Port Valet – This feature is offered on select cruise lines and itineraries. For ships that do offer this service, you will want to find the Port Valet form, fill it out and turn it back in! Why? Port Valet provides luggage services. At the end of your cruise, you’ll put a special tag on your bag and leave it outside your room door. There will be someone to pick up your bags and will check in your bags for you. All you have to do once you leave the ship is go straight to TSA! This helps especially if your airport is prone to long lines or if you have booked airfare that is departing early afternoon. Plus, if your bag is slightly heavier than the airlines require baggage weight limit, you won’t be charged the extra luggage fee you would have been charged had you taken it yourself to the airport. While some cruise lines don’t charge you a dime to use this service, others may have a fee.